Happy to see that we are doing space travel with our own equipment again. Has the Cygnus hatch been opened? 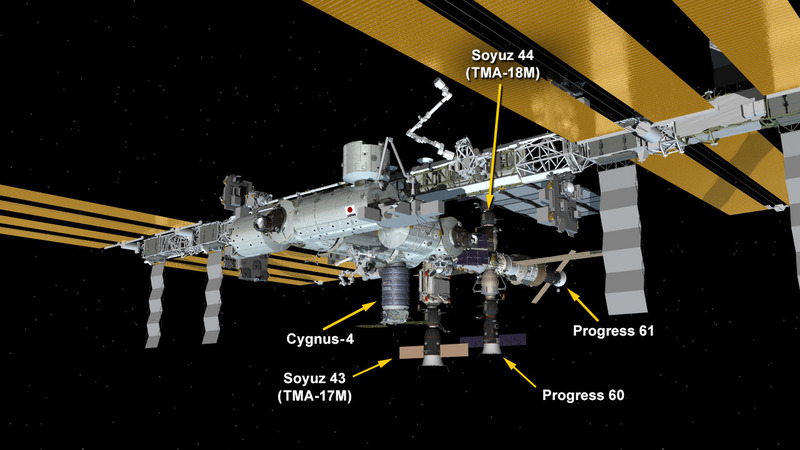 The Cygnus hatch was opened Dec. 10, the day after it arrived at the International Space Station and was attached to the Unity module. I like the term “destructive re-entry”… is it designed to completely disintegrate during re-entry or do some larger parts still remain? I find the whole re-entry side absolutely incredible. It’s one thing to be able to design a vessel capable of reaching space, but is it actually possible to have a controlled fragmentation? Engineers are studying the destructive re-entry process to create safer, more controlled re-entries. When a cargo vehicle burns up in the atmosphere it does so over the Pacific Ocean so larger debris that survives the re-entry splashes down safely.